Broadstairs CC have been crowned 2018 U15 County Champions after beating Canterbury CC in the Kent Cup final at The Mote. This is the third year in succession that the club has held this title and for many of the players, this represents their 6th county title in 5 years. Although their victory over Canterbury was fairly straight-forward having posted a huge score of 260 in 20 overs and then restricting the opposition to 97, their path to the final was full of twists and turns. Earlier in the day, the semi-finals saw Canterbury overcome an under-strength Linton Park side whilst Broadstairs were up against a very strong Bromley team. It was this match that was to provide the drama for the day and determine the overall tournament victors. Bromley won the toss and elected to bat and their openers Fiontan Logan and Finn McQueen proceeded to score freely against the usually frugal bowling attack of Archie Ralph-Harding and Nathan Fox. By the end of the 4th over, Bromley had raced to 37-0 and it was clear that a change in tactic was required. The seamers were replaced by the spin combination of George Kidd and Joe McCaffrey and it was McCaffrey who was to provide the key breakthrough, removing Logan in his second over (caught and bowled) and then bowling McQueen in the same over. With the openers removed, the score at 69-2 and still 10 overs remaining, Bromley had to re-build if they were to reach the high score they looked set to post earlier in the innings. However, the pairing of McCaffrey (who claimed an additional scalp in his third over and finished with figures of 3-29) and Kidd (0-21) had pinned down the Bromley middle order despite a few uncharacteristic fielding lapses. Kidd was replaced by Harry Carter (1-23 off 4) whose controlled pace further stifled Bromley scoring and the remaining overs were shared between Carter, Callum French and Ralph-Harding with Thomas Izzard and Fox helping out with a couple of excellent catches. A late run surge from the Bromley tail, punctuated by a series of suicidal run-outs brought their innings to a close, all out for 143. Whilst this total presented a significant challenge to Broadstairs, it was not as high as it might have been and the match was in the balance. Openers Fox and Ralph-Harding set-off steadily, scoring at around 5 per over for the first 5 overs and looking untroubled by the bowling. However, the loss of Ralph-Harding in the 6th over, caught by Kumar off the bowling of Lilley, was the first indication that this run chase was not going to be straight-forward, Carter replaced Ralph-Harding and he and Fox picked-up the scoring rate, and by the 10th over, had advanced the total to 60-1. This would have been an excellent platform upon which to initiate a 10-over charge using the power of Carter and the stroke play of Fox. However, Carter was bowled at the end of the 10th over and the hopes of a Broadstairs victory started to fade. Kidd was next in and was caught behind after adding just one to the total. Tom Marshall too struggled to settle and he was bowled without scoring and the innings was in danger of falling apart. This was the cue for the turning point in the innings with the introduction of French who was able to re-inject a sense of urgency and purpose to the innings. He and Fox struck-up a very productive partnership as important in terms of the momentum it provided as the 32 runs added to the total. When French was eventually dismissed for a game-changing 17, the score was 106 and the target, whilst still some way off, was now within sight. It would require some courageous hitting, energetic running and good fortune. After Jack Cave was run-out having fully entered into the spirit of this run chase, McCaffrey became Fox’s new batting partner and the spectators waited with baited breath to see if he could perform heroics with the bat to add to his 3 wickets. McCaffrey didn’t’ disappoint and was began to strike the ball around the vast outfield with he and Fox running singles and 2’s whenever they could. Crucially, in the 18th over, Bromley had appeared to exhaust their bowling options and the skipper Logan took the decision to bring himself on. Unfortunately for him, a series of wides coupled with ambitious running meant that Broadstairs were able to profit from this over to the tune of 19 runs. This over also finally saw the dismissal of Fox run out for 48 when his 5th dive of the day to the crease fell short. His knock had held the Broadstairs innings together and provided hope that the chase was doable. However, 14 runs were still required from the last 2 overs with just 3 wickets remaining. McCaffrey was dismissed by a catch off the bowling of McQueen in the 19th over and it was down to the pairing of Reginold Baskaran and Izzard to show the composure to see the team home with a padded-up Kalea Moore ready to step-in should a further wicket fall. They both met the challenge head-on, with Baskaran getting bat on ball with every ball he faced and he and Izzard running as though their lives depended on it. With 2 balls left and 1 run needed, Izzard smashed the ball to the boundary and Broadstairs had brought themselves back from the brink of defeat to record a dramatic win and a place in the Kent Cup final. After the drama of the semi-final, the final itself was a somewhat different affair with Broadstairs winning the toss and batting Canterbury out of the game. Ralph-Harding hit a remarkable 51 (retired) and this was followed by a further retirement from Carter (50), 46* from Marshall and 36 from McCaffrey. By the end of the 20 overs, Broadstairs had posted a huge score of 260-6 and a target that Canterbury were fully aware would be out of their reach. In the end, they managed to post 97 all out, with Izzard and the standout bowler (4-17) and the remaining wickets shared between Cave (2-28), Moore (1-15), Fox (1-14) and Kidd (1-1). Thanks to the umpires, scorers, The Mote and to Adam Hodder at Kent Community Cricket for putting-on a successful finals day. 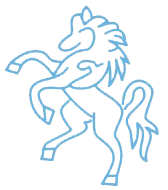 As Kent Champions, Broadstairs will proceed to the national round of the Vitality U15 Club T20 tournament and will host the Sussex champions on Sunday 22nd July at Broadstairs Cricket Club.